This time of year calls for hearty soup. And in the Hill house we like our soups creamy and packed full of goodness. Over the weekend we tested out a new recipe that we fell hard for. 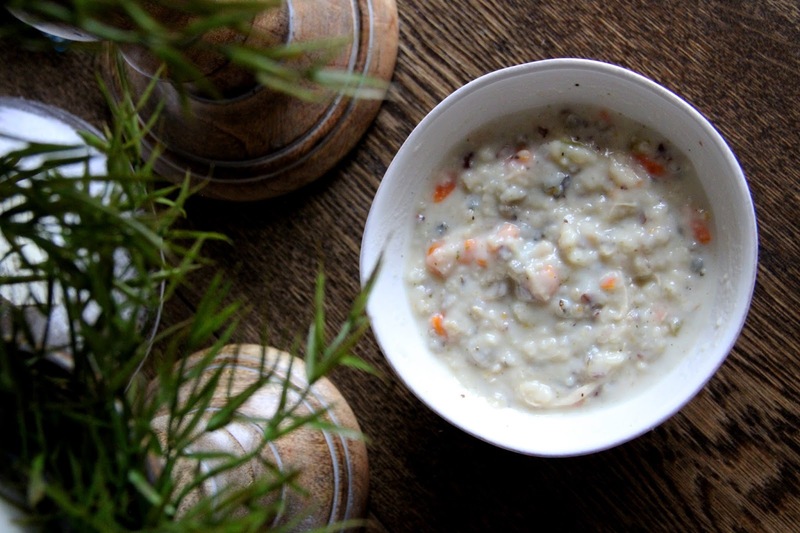 Our version of creamy wild rice and chicken soup is going to be on our menu rotation throughout the winter. Served up with fresh artisan bread smothered in butter is exactly how we plan on enjoying this bowl of goodness. The best part, it took about an 15 minutes of prep to put this soup together. It cooked for approximately and hour and fifteen minutes, and the clean-up was minimal! Add the broth, rice blend, onion, celery, carrot, garlic, water, and Mrs. Dash seasoning to a large pot. Stir. Add the chicken breasts (whole, but remove any excess fat first) to the pot. Cover with a lid and let low boil/simmer for about an hour until the rice and vegetables are tender and the chicken is tender and cooked through. Using forks shred the chicken. In a small saucepan, melt the butter then add the flour. Mix until you have a paste-like mixture. Add the milk and stir until smooth. Pour this creamy mixture into the soup pot. Stir well. Season with salt and pepper to taste. Let simmer for another 15 minutes. **If you eat this as leftovers, add milk to the soup when reheating to achieve the desired thickness you like. 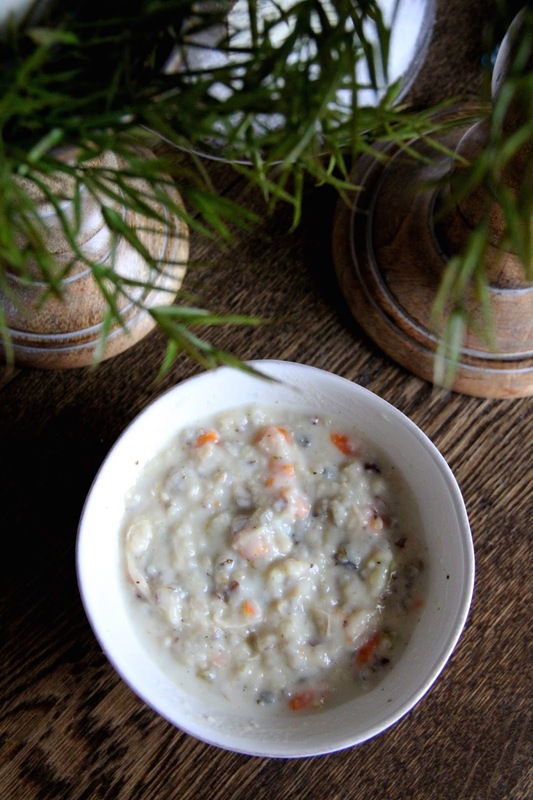 Storing in the fridge causes the soup to become very thick, but the milk will bring it back to a creamy goodness! And last but not least, the winner of the Postmark Studios Custom Silhouette Ornament is Vicki Garrett! Congratulations! I sent you an email, and you will have 48 hours to respond!